The ideal Christmas gift! (For your French friends only). 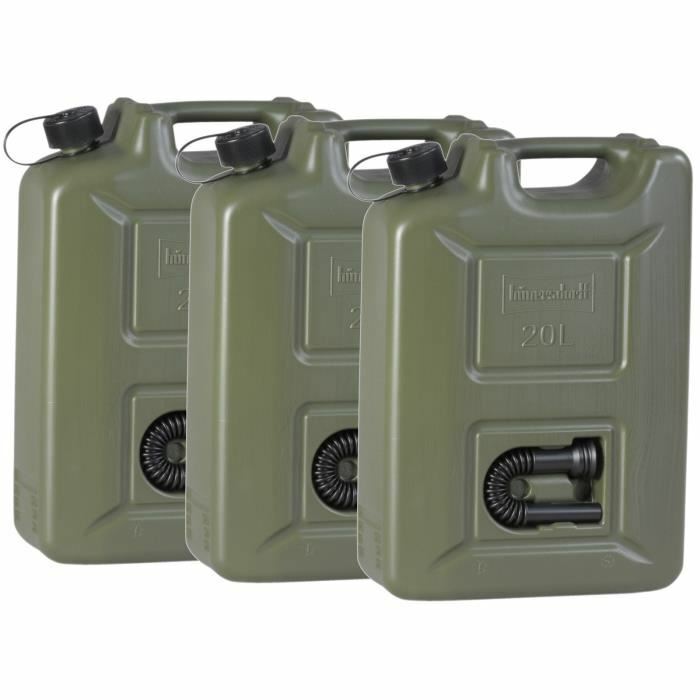 In case you have friends or family in France and you don’t know what to offer them for Christmas, my suggestion is: buy them a set of jerrycans. They may come handy in 2017. Not at once, but once the summer is over, they might be more useful than ever. This advice is based on the commonly held view that the French left has no chance whatsoever to weigh on the forthcoming presidential and legislative elections. In the former its main role will be to help block the ascent of the Front National; in the latter, it will serve as punching ball for massive dissatisfaction with the previous government and simply try to limit the damage with regard to the number of seats in the Assemblée nationale. Whatever the desperate posturing of ex-Prime minister Manuel Valls, it is difficult to see how he could beat either François Fillon or Marine Le Pen and make it to the second round. And once Fillon will be elected and provided with a parliamentary majority, the configuration will be slightly reminiscent of 1995, when a popular President (Chirac) and a brilliant Premier (Juppé) were finally going to bring about the reforms this country so urgently needed. The Juppé government (of which Fillon was a member, in charge of technology, information and La Poste) set out to make the redistributive retirement scheme and Social Security financially sustainable. Photo can be used every five years. Just replace name of PM as appropriate. The French, who expected to be delivered on Chirac’s promise to heal the ‘social divide’, felt betrayed and erupted with anger. 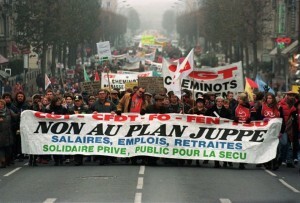 The country was totally paralysed for weeks in a row by massive strikes including not only transport, but also health and electricity services, and when two million people took to the streets on 12 December, Chirac gave in, buried the largest part of the reforms and spent the rest of his eleven and a half years in office as ‘The idle king’ (as Sarkozy once called him). In 2017 the left may appear hopelessly divided and exhausted by five years of governmental responsibility in truly exhausting times, but the disappointment with Hollande does not mean the founding values of the left have lost their power of mobilisation. And once the painful slap in the face of the spring and summer elections overcome by the end of August, the people of the left will be ready to make sure ‘la rentrée’ in early September will be ‘chaude’ (which does not mean ‘warm’, but ‘burning hot and ready for ignition’). If Doctor Fillon is determined to administer only half of his bitter medicine, the trade unions will be offered the rallying cry they desperately need to exist. In a country where strikes are not the ultimate means when everything else fails in negotiation, but a prelude to talks that gauges the level of bargaining power, the public services – Fillon’s main target and the union’s major stronghold – may be stalled in no time. 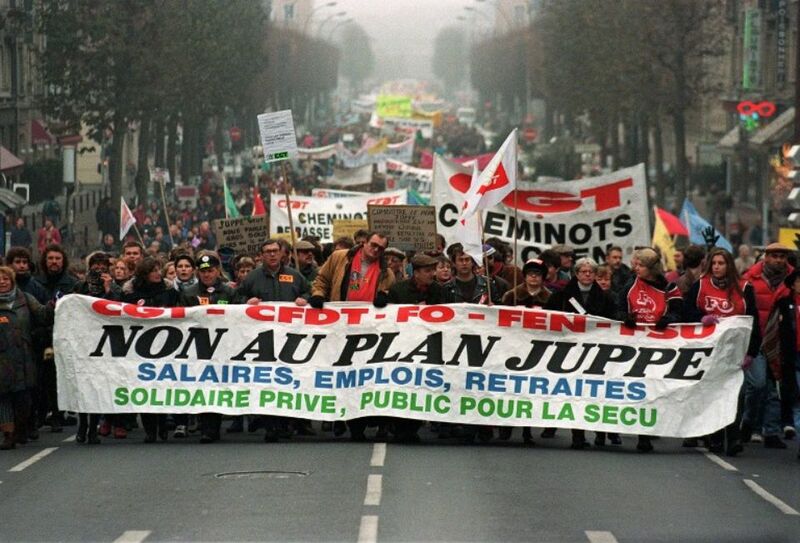 And the unions are not alone: they might well be joined by an improbable coalition of the ‘sleeping’ movement of ‘Nuit debout’ that is only waiting to wake up again and several other professional groups in defense of archaic privileges. The latter will have a wonderful opportunity to disguise their interest-driven motivations as rightful indignation and struggle for dignity. Considering the amount of angry demonstrators brought to the streets in recent months by the relatively meek reform bills of the socialist government – including professional groups like notaries and policemen! – it will not take much to set to fire the explosive mix of accumulated anger and frustration. In the worst-case scenario (which would not even come as a surprise) public transport would be the first sector to be massively impacted, and it might promptly be followed by numerous road blockades orchestrated by exasperated farmers, infuriated lorry drivers and maddened taxi drivers. And the most important thoroughfares to be blocked are of course the access roads to the huge refineries in Gonfreville/Notre-Dame-de-Gravenchon (Le Havre), Donges (Nantes-Saint Nazaire) and Martigues (Marseille). After a few days, the petrol stations will have run dry and France come to a halt. That will be the moment when your jerrycan Christmas gift will be fondly remembered. This is post # 7 on the French 2017 election marathon. This entry was posted in Current Affairs, Democracy & Citizenship, Society & Culture and tagged Alain Juppé, democracy, elections, France, France 2017, François Fillon, French elections, Jacques Chirac. Bookmark the permalink. Next: France 2017: Happy New Year? You must be joking!